ADVANCED Technology that redefines the standard in cutting and drilling. Diamonds are oriented inside matrix so that every diamond is better able to participate in cutting, drilling, or diamond machining action. In 1998 UKAM Industrial Superhard Tools, Division of LEL Diamond Tools International, Inc. Developed a solution to this problem. 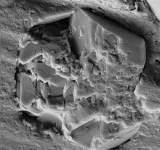 A new breakthrough called “SMART CUT technology” in manufacturing precision diamond tools. SMART CUT will greatly improve your diamond tool cutting, drilling, grinding, and lapping efficiency SMART CUT™ is an ADVANCED technology that redefines the standard in manufacturing diamond tools. Utilizing this technology a diamond tool manufacturer is capable of orienting diamonds inside matrix so that every diamond is better able to participate in cutting or drilling action. SMART CUT™ open bond design makes sure every diamond is in the right place and at the right time, working where you need it most. You get maximum use of diamond and bond. The distribution between each Diamond or CBN particles determines the work load each diamond will perform. Improper distribution of diamond or CBN particles typically leads to premature failure of diamond particles or bond structure. If diamond or CBN particles are too close to one another, some of these particles are redundant and provide little or no assistance in cutting, drilling, grinding, or lapping. Excess diamonds particles increase the cost of manufacturing diamond tools, due to high cost diamond and CBN powder. Yet have no effect in increasing performance. In fact excess and non performing diamond or CBN particles reduce the diamond tools overall performance and efficiency by blocking up the passage of debris from material being machined. In many cases these excessive diamond particles play a major rule in decreasing the useful life of your diamond tool. Conventional diamond tools have been suffering from these type of problems and inefficiencies for over 50 years. After a few dozen uses a conventional diamond tool, and its speed gradually begins to slow down. You will notice excessively longer machining speeds, and equipment motor bug downs. And since only a few diamonds participate in the machining action, you may find your self applying an increasing amount pressure just to machine the same amount of material. Without properly orienting the diamonds, conventional diamond tools quickly become dull, out of round. With further machining requiring constant tool dressing, in order to expose new diamonds. Constant diamond tool dressing and pressure put forth on material, causes the tool to overheat and loose its tension. The user may find themselves using excessive force and pressure just to machine a small amount of material. SMART CUT™ technology allows the diamond tool manufacturer to control diamond spacing. Hence improving performance of every diamond particle. This Reduces the need for high diamond concentration used today in conventional diamond tools. Every Diamond in a SMART CUT product works like a small horse. Unlike many other bond designs, the SMART CUT begins to work from the first cut, and remains to work at the same level of consistent performance until you take your last cut. This unique open bond design insures you get the maximum usage of diamond and bond every time you use a SMART CUT product. SMART CUT open bond is designed to keep diamonds working at their maximum potential. SMART CUT diamond bond undergoes regular renewal, making sure all diamonds are constantly under maximum exposure to materials being worked on. The sharpest and finest quality Synthetic DeBeers diamonds that go into a SMART CUT™ Diamond Bond. Immediately penetrate into the material , grinding and polishing as they cut. Diamonds are activated only at the exposed layer. As diamond layer begins to wear out, diamonds in the new layer are immediately activated, substituting the already used up diamond layer. The SMART CUT™ Diamond Bond makes sure every diamond is in the right place and at the right time, working where you need it most. SMART CUT technology in diamond orientation and distribution allows each diamond particle to be fully exposed at its sharpest point. Diamond is broken off and often wears faster than it can be used. This causes inconsistent and inefficient tool performance. Diamonds quickly loose their sharp edge. Machining speed is quickly reduced, and tool requires constant dressing to sharpen existing diamonds and rexpose the next diamond bond layer. 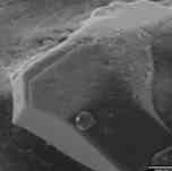 Diamonds disintegrated by excessive force, heat, and impact applied by over excessive number of diamonds coming in contract with material machined. Diamond is pulled out of bond matrix before it has a chance of being used. What is the difference between a conventional diamond tools, and a diamond tools with SMART CUT™ technology? Precision diamond tools manufactured utilizing SMART CUT™ technology, are built with a special open bond design that promotes a better coolant system. Air and water flows freely through the diamond bond, providing extra coolant, greater conductor of heat and thus increased product longevity. Instead of heat generated in a few places, it is evenly distributed and hence minimized. We made a science out of making your work easier. 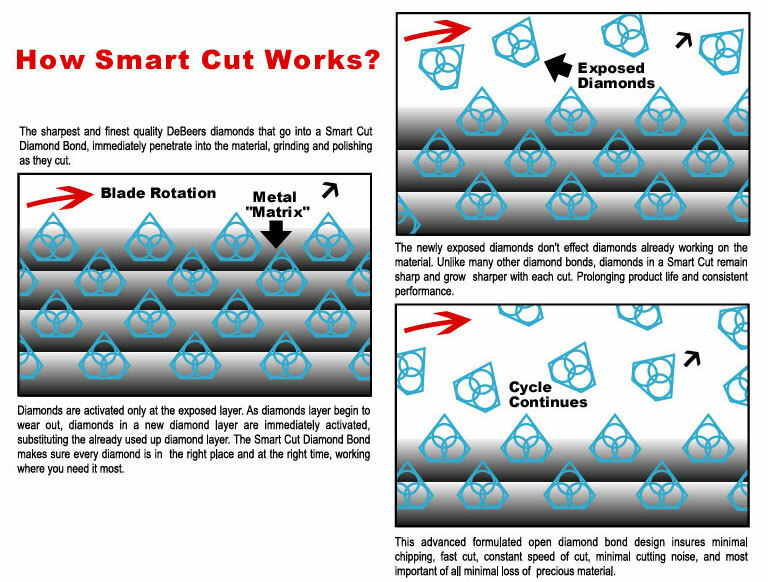 SMART CUT™ technology are easier to use than most conventional diamond products. Thousands of sharp and high quality diamond particles metallurgically bonded to alloy steel allow diamond tools with SMART CUT™ technology to complete a job by applying little or no pressure. Freeing the user from constantly having to dress and renew the diamond layer. SMART CUT™ technology makes any sophisticated job a simple one. Diamond Tools with SMART CUT™ technology require minimal dressing, the bond renews itself. Diamond Tools manufactured utilizing this technology are much more aggressive than your conventional blades. They machine material faster, still leaving behind a smooth finish. In most cases diamond tools manufactured utilizing SMART CUT™ technology, will outlast other conventional metal (sintered), resin, and nickel bonded diamond tools. SMART CUT™ diamond tools are more sturdy than tools manufactured with conventional technologies. Unlike many other resin or metal bonded diamond tools, these will not dull and maintain its firm shape and bond configuration all the way through the diamond tools life. When you see the SMART CUT™ symbol on a product, you know there is more to the product than it looks. Because what you don’t see is what makes all the difference. Whatever your goal requires you will find an advanced, high quality, and cost effective SMART CUT™ solution, specially designed for your needs. Just how superior is a SMART CUT™ product? That’s for you to decide. Because you can’t really see the difference or get a sense of it from words. You must feel it, and you will from the first time you pick up a SMART CUT™ diamond product to the time you first use it, and all the way to the tools life.